A few things you'll need to start: A sketchbook, pencils, templates, thick paper or cardboard, scissors, and your stones. Take your tray (or trays) of stones and lay them out on a table. 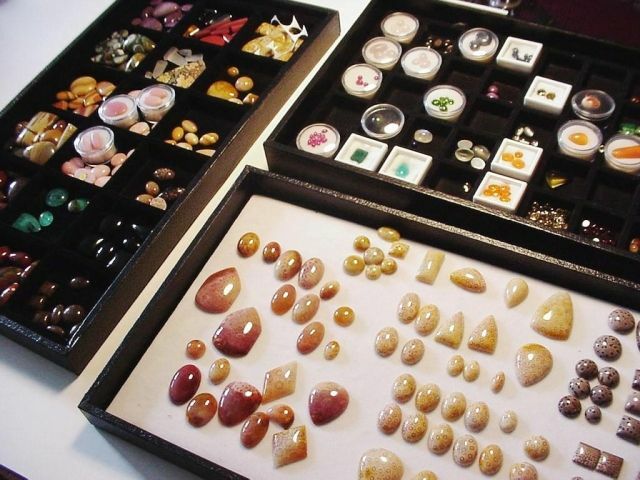 How do you organize your stones? By color? By size? By shape? By type? By date purchased? This might give you some clues as to how you see the stones.